Betcha didn't think you could be doing a good deed by drinking a milkshake...but if you order a Cookie Collision Shake through June 6 at one of nearly 100 Potbelly Sandwich Shop locations in the Chicago area, $1 from each shake sold will go to support the Midtown Educational Foundation. In addition to fundraising for the MED, Potbelly will provide students enrolled in MEF's programs an opportunity to visit the Potbelly Support Center corporate office during the summer for a business apprenticeship seminar. 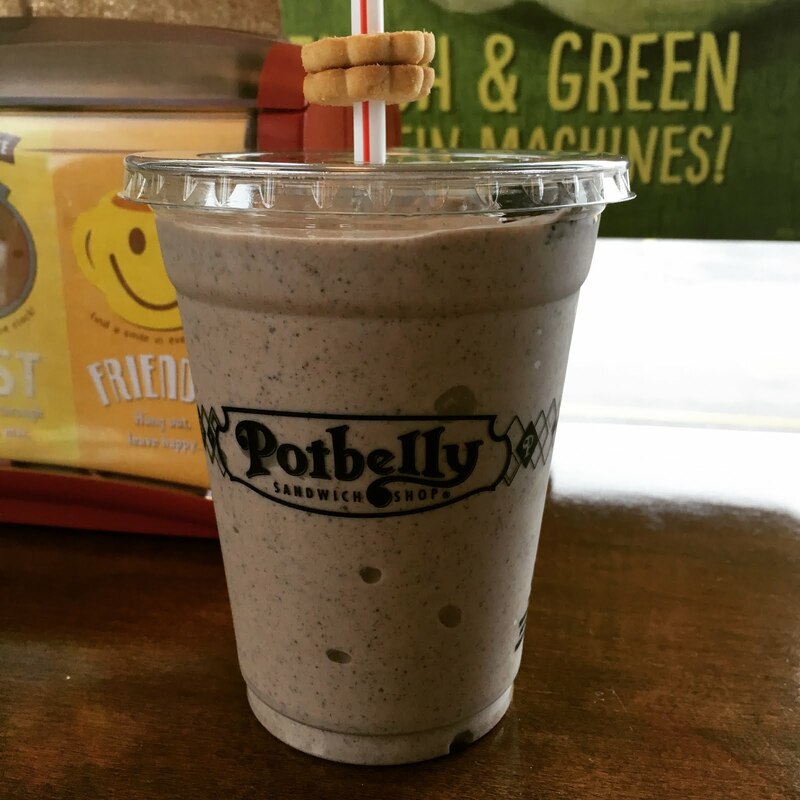 The Cookie Collision Shake is a blend of Potbelly's signature shortbread cookies along with Oreos and vanilla ice cream - a delicious sweet treat to finish off a meal at your neighborhood Potbelly Sandwich Shop. New to Potbelly, like me? Go to Potbelly.com and take a peek and their menu, which is full of satisfying sandwiches, protein-packed salads, hearty soups and more. Find a full review of my visit on the blog next week, but here's a peek at my favorite item that I tried, the mushroom melt. This light sandwich is one of the lower calorie selections and includes mushroom and three melted cheeses. 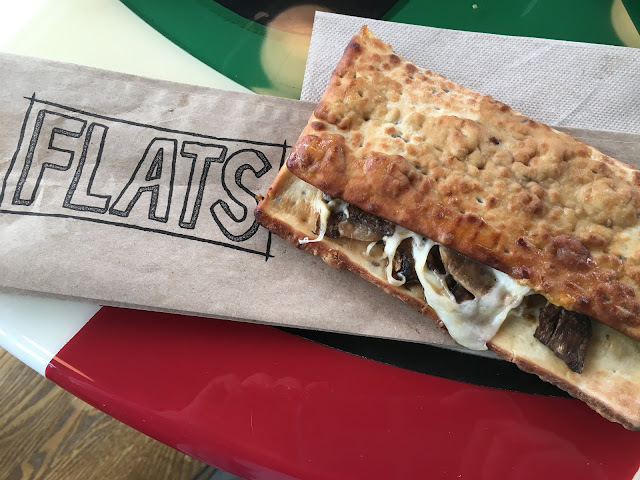 I opted to have mine on flatbread. Such a warm and tasty sandwich!